Soviet Chief Designer, responsible for all large liquid propellant engines for missiles and LVs. Led Glushko bureau, 1946-1974; Headed NPO Energia 1974-1989, directing development of Energia launch vehicle and Buran spaceplane. Born: 1908-09-02. Died: 1989-01-10. Birth Place: Odessa, Ukraine. Soviet rocketry pioneer. Chief Designer and General Designer 1946-1974 of OKB-456. Preeminent Soviet designer of rocket engines for missiles and launch vehicles. Head of NPO Energia 1974-1989, where he directed development of the Energia launch vehicle and Buran spaceplane. Glushko was born to Ukrainian parents of Cossack and Russian peasant stock. In the spring of 1921, at the age of 15, he began reading the works of Jules Verne. From the Earth to the Moon and Around the Moon made a particular impression on him. He began to devour astronomy books, notably those by Flammarion and Klein. By 1922 the teenager was involved with the local observatory through a youth group and began work on a (modest!) book � �Historical Development of the Idea of Interplanetary and Interstellar Travel'. In the summer of 1923 Glushko saw an experimental rocket on display at the Military-Naval Museum. It made a powerful impression on him, resulting in his own first na�ve pencil sketch of a primitive rocket with a braking unit. On 26 September 1923 he wrote a letter to Konstantin Tsiolkovskiy, the father of Soviet astronautics, and received an encouraging reply on 8 October. It was the beginning of a seven-year correspondence and left him feeling 'anointed' as Tsiolkovskiy's successor. Glushko was first published in 1924 in the journal of the local astronomical observatory. His paper recounted his observations of Mars and Venus. He was greatly influenced by a series of articles by Ya I Perelman - Interplanetary Travel - which was published in ten installments from 1925-1935. In August 1925 Glushko entered Leningrad State University. There he designed an interplanetary spacecraft, the �Gelioraketoplan', powered with electric engines. This came to the attention of the military. From 15 May 1929 the young Glushko was a leading light at the Leningrad GDL (Gas Dynamics Laboratory), builders of the earliest Russian liquid rocket engines. By the early 1930's Glushko was testing a series of ORM liquid fuelled rockets of increasing size. These powered RLA- series rockets. The Soviet military, seeing the potential of rockets, created the RNII (Reaction Propulsion Scientific Research Institute) from Korolev's Moscow-based GIRD (Group for Investigation of Reactive Motion). Glushko was moved there in January as the supervisor for liquid engines. RNII developed a series of rocket-propelled missiles and gliders during the 1930's, culminating in Korolev's RP-318, Russia's first rocket propelled manned aircraft, powered by Glushko's ORM-65 rocket engine. The 175 kgf ORM-65 began stand tests on 5 November 1936. 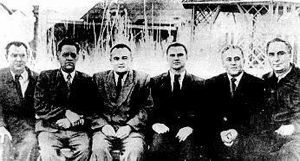 However before the aircraft could make a rocket propelled flight, Korolev and Glushko were thrown into the Soviet prison system during the peak of Stalin's insane purges. 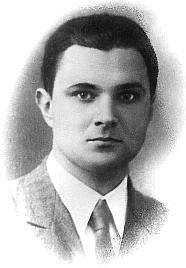 Glushko was arrested by the Secret Police in March 1938. Korolev was arrested a short time later, based on a denunciation made by Glushko. However Stalin soon recognized the importance of aeronautical engineers in preparing for the impending war with Hitler. A system of sharashkas (prison design bureaus) was set up to exploit the jailed talent. Glushko rose to head TsKB-4, a sharashka in Kazan which was developing rocket installations to improve maneuverability and takeoff performance of conventional aircraft. Despite the austere conditions Glushko began testing his RD-1 series of storable propellant engines with 900 kgf thrust for use in Soviet fighter aircraft. This earned him suspension of the remainder of his prison sentence in August 1944 and in December 1944 he was named chief designer of his own design bureau, OKB-SD. With the war over, it became apparent that the immense progress in rocketry made by the German Von Braun team made Soviet rocket technology obsolete. Stalin, fascinated with the technology, was quite annoyed that the Peenemuende team had gone over to the Americans and that American intelligence had managed to loot most of the V-2 factories and rockets, even in the Russian zone. From June 1945 to December 1946 Glushko spent much of his time in Germany, supervising the assembly of German experts and technicians and restarting production of the V-2 rocket engine. By August 1945 the Zentralwerke's V-2 engine static test stands were back in operation. German and Russian specialists tweaked the standard V-2 engine for better thrust and performance. A series of 40 test firings between July and September 1946 used modified propellant mixer heads and varying mixture ratios. Thrust of the basic V-2 engine was increased from 25 metric tons to 30 metric tons. Glushko was also part of the official Soviet delegation that observed the British 'Operation Backfire' launch of a V-2 from Altenwaide. On May 13, 1946 Stalin signed the decree beginning development of Soviet ballistic missiles. The Minister of Armaments, Dmitri Fedorovich Ustinov, was placed in charge of the development. It was decided to move further development and production of the German missile designs to the territory of the USSR. On 3 July 1946 a new OKB-456 was declared in Khimki, near Moscow, with Glushko as the chief designer. On the night of 22-23 October 1946 234 German rocket specialists were rounded up and sent to the Soviet Union. The first priority was developing a Russian copy of the V-2 engine. The drawings for this RD-100 engine were produced by Glushko's engineers in collaboration with the German experts (sometimes the German text being erased and replaced by Russian). Glushko then turned to developing the technology for a larger series of intercontinental range missiles � and space launchers. The German team at Khimki completed the first KS-59 'Lilliput' subscale version engines at the end of 1948. This used a radical new combustion chamber design. From the summer of 1949 to April 1950 Glushko's staff made 100 tests of the engine. A wide range of propellants was used, including exotic fluorine compounds and suspended beryllium hydride fuels. The Russians gradually took over further development. By 1951 they were completely independent and built the German design for the next phase of the engine, the 7 metric ton thrust ED-140. This configuration would form the basis of Glushko's rocket engines for the next fifteen years. For Korolev's R-3 IRBM, Glushko proposed to copy the V-2 approach by using 19 of these 7 metric ton chambers as 'preburners' to feed a main mixing chamber, producing a high-performance engine of over 100 metric tons thrust. However during development problems of stability in the mixing chamber could not be solved, and the R-3 was abandoned. Korolev wanted to leapfrog the IRBM and concentrate on development of the R-7 intercontinental ballistic missile (and potential satellite launcher). Therefore further IRBM development was spun off to a new design bureau headed by one of Korolev's deputies, Mikhail Kuzmich Yangel. Glushko remained the rocket engine provider for Yangel's missiles. Glushko decided to scale up the ED-140 to 65 metric tons thrust for the R-7, as the Germans had planned. This RD-105/RD-106 rocket motor encountered seemingly insoluble combustion chamber instability problems. Moreover the weight of the nuclear warhead to be carried was increased to 5.4 metric tons. The entire vehicle had to be scaled up proportionately, and this meant that Glushko could not deliver a single chamber design by the 1956 date set for the first launch. Glushko's solution was to develop the RD-107/RD-108 design: a cluster of four rocket engine chambers sharing common propellant pumps and developing a total vacuum thrust of 90-100 metric tons. This put each chamber in the V-2 range, where the existing experience base could assure stable combustion. However it greatly increased the complexity of the booster, with a total of twenty main engines and sixteen vernier engines firing at lift-off, as opposed to five engines for the RD-105/106 approach. Meanwhile, other missile designers were coming on-line. Korolev had spun off further development of storable-propellant submarine launched missiles to his deputy Makeyev. Chelomei, a gifted designer of cruise missiles, was anxious to be involved in the much more exciting areas of space flight. Bomber designer Myasishchev and Glushko himself pushed alternate missile designs. Korolev's R-7, with its enormous launch pads, complex assembly and launching procedures, cryogenic liquid oxygen oxidizer, and radio-controlled guidance was a totally impractical weapon. As a result, it would be deployed at only eight launch pads at Tyuratam and Plesetsk, in the north of the country. In the United States, Kennedy was elected as the new President, partly on the basis of an alleged �missile gap' between the United States and Russia. The Eisenhower administration, thanks to the U-2 overflights, knew that there was no 'missile gap'. But in that curious logic that pertains to intelligence matters, they would not tell the US public that the Soviet missile threat was virtually non-existent. However having been elected on the basis of the existence of the threat, Kennedy felt impelled to plunge into a massive program of ICBM construction. Kennedy selected the former general manager of General Motors, Robert McNamara, as his Secretary of Defence. Evidently unable with his motor industry background to think in terms of smaller numbers, McNamara chose the nice round figure of 1,000 ICBM's as a goal. The Minuteman program, already begun under Eisenhower, was expanded to provide a low-maintenance solid-fuelled missile that could be produced and cheaply operated in vast quantities. The Russians, shocked into being drawn into an expensive arms race involving a thousand missiles as opposed to a few dozen, began development of equivalents. Korolev was tasked to build a solid-fuelled counterpart of the Minuteman, the RT-2. Soviet technology was not up to the task and Chelomei became the pre-eminent missile manufacturer with his less risky, small liquid fuelled missile, the UR-100. This was produced in the hundreds and became the backbone of the Soviet nuclear deterrent. Chelomei's ascendancy coincided with a huge technical dispute between Korolev and Glushko and the other rocket designers. Glushko had decided that the use of new hypergolic (self-igniting), storable oxidizer and fuel combinations had enormous operational advantages compared to the cryogenic liquid oxygen and kerosene combination preferred by Korolev. The hypergolic fuels could be put in the missile's tanks and stored indefinitely. Such rockets, once fuelled, were available at any time for launch. The drawback of storable propellants was that they were very toxic and dangerously corrosive. They had to be handled very carefully in special chemical protection gear. In the case of spills, accidents, or booster explosions, a dangerous cloud of toxic gas was created. Glushko felt that the operational advantages of storable propellants outweighed the safety issues. Korolev did not, and insisted in using liquid oxygen and kerosene propellants even in missile applications. The rift first broke out in the R-9 missile development. The Soviet military sided with Glushko - it only deployed 54 of Korolev's R-9 missiles, as against 380 of Yangel's R-16 and 800 of Chelomei's UR-100 � all boosted by Glushko storable liquid propellant engines. By September 1960 Korolev's engineers had already settled on the configuration of the N1 � the ultimate space booster. Designed for Soviet conquest of Mars, the booster would have a total lift-off mass of 2,000 metric tons and a payload of 75 metric tons. Propellants considered included Lox/Kerosene, Lox/UDMH and Nitric Acid/UDMH. By this time Glushko had new data from the US on the use of N2O4 (nitrogen tetroxide) as an oxidizer. He told Korolev that he advised using N2O4/UDMH in all three stages of the N1. The N1 required high-performance closed cycle engines, where some of the propellants were burned to run the turbines of the propellant pumps, and then introduced into the combustion chamber. A closed cycle engine burning kerosene resulted in seemingly insoluble problems of coking of engine parts. N2O4/UDMH did not cause any such problems and burned cooler. Korolev had nothing but contempt for Glushko by this point, going back to his belief that it was Glushko's denunciation in 1938 that landed him in the death-mines of Kolyma. Glushko had failed to solve combustion problems with the RD-105 engine, forcing the use of a four-chamber design in the RD-107 and RD-108 - chambers little larger than those on the V-2. Glushko had refused to solve the vernier rocket design for the R-7, forcing Korolev to do it. Glushko had been unable to expediently provide an upper stage engine for the R-7, forcing Korolev's own bureau to develop the S1.5400. Again with the R-9 engines, Glushko could not solve the problem of producing stable combustion in a large chamber. Therefore Korolev turned to Nikolai Kuznetsov's design bureau. Kuznetsov's OKB had originally been founded to exploit German engineers and develop the gigantic turboprop engines of the Tu-95 Bear bomber. But with assistance from Korolev's team he promised he could learn rocket technology. Kuznetsov was willing to attempt to produce the higher-efficiency closed cycle engine that Glushko believed was impossible with the Lox/Kerosene propellants. In parallel with the N1, the Yangel and Chelomei bureaus had been developing alternate designs (R-56 and UR-700). Both used clustered 4 m diameter rocket stages with a single large Glushko engine using toxic storable propellants. These were not approved and the N1 project moon-landing project went forward in 1964, without Glushko or Chelomei or Yangel. By the time the Americans beat the Soviet Union to the moon, Korolev had died and been succeeded by his deputy, Mishin. Under Mishin's supervision, the N1 blew up on each of its four launch attempts. On May 18, 1974 the Minister of Medium Machine Building Afanasyev attended a routine meeting of the management at Korolev's design bureau. In a few clipped sentences he informed the group that the Politburo had decided to remove Mishin. Glushko was directed to combine the Glushko and Korolev design bureaus into a new industrial organization known as NPO Energia. Afanasyev wished the stunned managers every success, and left the room. The N1 program was cancelled and Glushko was finally in charge of building his own rockets and spacecraft. Glushko briefed his planned new launch vehicle family to the Military Industrial Commission on 13 August 1974. As required by the Ministry of Defence, they used only non-toxic, inexpensive Lox/Kerosene propellants; the various launch vehicles were modular, and used common engines and rocket bodies. The basic engine would be a four-chamber design with a vacuum thrust of 1,200,000 kgf. Glushko maintained that this remarkable turnabout from his earlier opposition to such propellants on the N1 was brought about by technical progress in the intervening 14 years. Glushko attempted to put his own mark on Soviet rocketry and push ahead with his childhood dreams of interplanetary manned flight. Harking back to the last rockets of his own design, back in Leningrad in 1932, Glushko called the new rocket RLA - Rocket Flight Apparatus. The RLA-135 would begin flight trials in 1980. Glushko insisted that a permanent lunar base and Mars expeditions in the 1980's were achievable. Total cost of the development program was put at 12.5 billion rubles. The final decision was that the plan had to be reworked. Brezhnev, Keldysh, and Ustinov would insist that Lox/LH2 technology be used and the capabilities of the US space shuttle be duplicated. The end result would be the Energia launch vehicle and Buran space shuttle, with which neither the military or the Soviet engineering community was happy. Propellant selection for the boosters was a big controversy. After consideration of solid fuel as used by the Americans, the final decision was to use Lox/Kerosene liquid propellants. Glushko had fought so bitterly with Korolev over the issue. It was surprising that he now accepted use of Lox/Kerosene. But Korolev was dead, and the N1 a failure. Glushko's position had been vindicated; perhaps he now had to agree objectively that use of the expensive and toxic propellants in a launch vehicle of this size was not rational. A serious Proton launch vehicle explosion on the pad in 1971 that almost killed the Soviet and military space leadership observing the launch seems to have driven this change of heart. Glushko's RD-170 engine for the booster stage experienced a slow and difficult development program � perhaps vindicating Glushko's position from the beginning. These were exactly the kind of closed-cycle liquid oxygen/kerosene engines that Glushko had opposed developing in the 1960's. Glushko's engineers fell back on his old solution when being unable to handle combustion stability problems: an engine unit consisting of four chambers fed by common turbo pumps. Providing adequate wall cooling for the high temperature / high-pressure combustion chambers seemed at times insoluble. One problem followed another and finally the RD-170 became the pacing item, with rocket stages completed but lacking engines. As costs reached the project ceiling, Glushko and Minister Afanasyev had to escalate the fight to the highest levels of the Soviet leadership. But Glushko defended his people, retained his job, and the problems were eventually solved. Following extended development, Buran made a remarkably successful first unmanned flight on 15 November 1988. But it would never fly again. The Soviet Union was crumbling. Glushko's ambitious plans -- to build an orbiting defense shield, to renew the ozone layer, dispose of nuclear waste, illuminate polar cities, colonies the moon and Mars -- were not to be. Glushko died just two months later, not living to see the collapse of the Soviet Union and the cancellation of his projects. Glushko was showered with honors and positions during his lifetime. He was formal with co-workers, never using the familiar pronoun when talking with them. He was a stylish dresser, and tooled around Kaliningrad in the Chevrolet Caprice he had imported through Belgium. After his accession to the position of Chief Designer for the Soviet space program, he published some histories that were felt to be self-serving and had a bust of himself erected in his hometown of Odessa. He was survived by his daughters Yevgeniya (born 1938), Elena (1948), and sons Yuri (1952) and Aleksandr (1972). Glushko bureau Russian manufacturer of rocket engines. Country: Russia, Ukraine. Projects: Luna, Lunar L1, Venera. Agency: Korolev bureau. Bibliography: 283, 323, 55, 5438. 1908 September 2 - . Birth of Valentin Petrovich Glushko - . Nation: Russia, Ukraine. Related Persons: Glushko. Soviet Chief Designer, responsible for all large liquid propellant engines for missiles and LVs. Led Glushko bureau, 1946-1974; Headed NPO Energia 1974-1989, directing development of Energia launch vehicle and Buran spaceplane..
1938 March 23 - . Glushko arrested by Soviet secret police. - . Nation: Russia. Related Persons: Glushko, Korolev. The leading Soviet rocket engine designer is arrested in one of Stalin's purges. Under interrogation he denounces Korolev and two others..
1947 May 22 - . LV Family: Groettrup. Launch Vehicle: G-1. Groettrup G-1 design ordered - . Nation: Russia. Related Persons: Glushko, Groettrup, Korolev. The G-1 was Groettrup's first design after the German engineering team had been moved to Russia. The first group of 234 specialists was given the task of designing a 600 km range rocket (the G-1/R-10). Work had begun on this already in Germany but the initial challenge in Russia was that the technical documentation was somehow still 'in transit' from the Zentralwerke. The other obstacle was Russian manufacturing technology, which was equivalent to that of Germany at the beginning of the 1930's. The Germans worked at two locations, NII-88 (Korolev OKB) and Gorodmlya Island to complete the design of the G-1. Other groups of Germans worked at Factory 88 (R-1 production) and Factory 456 (Glushko OKB / engine production). 1947 Sept - . LV Family: Groettrup. Launch Vehicle: G-1. G-1 design completed by Groettrup team. - . Nation: Russia. Related Persons: Glushko. The selected design was 14.2 m x 1.62 m, 18,400 kg gross weight, empty weight 1,960 kg, 32,000 kgf thrust, LOX/alochol propellants, 20 atm pressure thrust chamber, integral tanks, turbine driven by exhaust gases, control section in back, radio beam guidance, 900 km range, accuracy - 25% in a 1.0 km box. 1949 June - . LV Family: Groettrup. Launch Vehicle: G-4. Russo-German advanced rocket engine tests. - . Nation: Russia. Related Persons: Glushko. The planned IRBM's (R-3 or G-4) would use a new design high pressure cylindrical combustion chamber. This would feed a spherical mixing chamber. The German engineers worked with Glushko to build a subscale 7 tonne thrust, 60 atmosphere chamber pressure test model. Given the Russian designation ED-140, this was run 100 times between the summer of 1949 and April of 1950. 19 of these chambers would feed the chamber of the Glushko RD-110 engine slated for use in Korolev's competing R-3 rocket. 1958 June 30 - . Development of Soviet nuclear-powered rockets authorised. - . Nation: Russia. Related Persons: Glushko. Central Committee of the Communist Party and Council of Soviet Ministers Decree 'On the Creation of pockets With Engines on the Basis of Nuclear Energy Applications--work on a draft project for rockets with nuclear engines' was issued. Competing engine designs were in development by Glushko's OKB-456 and Bondaryuk's OKB-670. Both designs used existing available reactors in cyldindrical housings, with the reactors operating at 3000 degrees K. The propellant was heated in the reactor and exhausted through four expansion nozzles. The Glushko engine operated with ammonia, while the Bondaryuk engine used a mixture of ammonia and alcohol. With such propellants a specific impulse of 430 seconds was achieved. 1961 November 15 - . Launch Vehicle: Proton. Development of RD-253 engine begun. - . Nation: Russia. Related Persons: Glushko, Korolev. Manufacturer: Chelomei bureau. Program: GR-2. OKB-52 began to collaborate with V P Glushko's OKB-456 in developing a high thrust storable propellant engine for the UR-500 Proton launch vehicle. Glushko had completed a storable liquid engine design of 150 tonnes for use in Korolev's N1. However Korolev refused to accept this design, due to his categorical refusal to use toxic propellants in his rockets and his belief that such propellants could never deliver the required specific impulse. Korolev insisted on development of an oxygen-kerosene engine; Glushko categorically refused to do so. As a result, the two leading Soviet rocket designers irrevocably split. Korolev had to turn for development of his N1 engines to the aviation engine design OKB of N D Kuznetsov. 1963 May - . Launch Vehicle: N1. Nuclear N1 designs - . Nation: Russia. Related Persons: Glushko, Korolev. At the end of 1961 the Glushko and Bondaryuk bureaux completed their draft projects on nuclear thermal engines for space vehicle upper stages. It was decided to continue work on development of an engine in the 30 to 40 tonne thrust range. In the following year Korolev was asked to study application of such engines, followed by a specific demand in May 1963 from the Scientific-Technical Soviet for specific recommendations. For a Mars expedition, it was calculated that the AF engine would deliver 40% more payload than a chemical stage, and the V would deliver 50% more. But Korolev's study also effectively killed the program by noting that his favoured solution, a nuclear electric ion engine, would deliver 70% more payload than the Lox/LH2 stage. Further investigation of nuclear thermal stages for the N1 does not seem to be pursued. Bondaryuk and Glushko turned to Chelomei and his competing UR-700 rocket for future application of such stages. 1963 June - . Launch Vehicle: Proton. Tests of clustered Proton engines begun - . Nation: Russia. Related Persons: Glushko. Glushko conducted tests of the new engine from 1961 to 1963, followed by tests of the clustered engine assembly from June 1963 to January 1965. Through use of a regenerative fuel pump cycle Glushko was able to improve the thrust of the engine by 12.5%. It was therefore decided to use only the large Glushko engine in the first stage. The first layout had one engine at the base of the core and 4 to 8 fuel tanks with peripheral engines. Now the centre engine was abandoned and the 'clean' oxidiser tank core was surrounded by six fuel tank/engine assemblies. This had the advantage of reducing the length of the stage while increasing the dry weight fraction. 1967 November 21 - . LV Family: Proton. Launch Vehicle: Proton-K. Cause of Proton failure in last launch. - . Nation: Russia. Related Persons: Glushko. Program: Lunar L1. Glushko at Baikonur. He reports the Perm factory is under close supervision - the engine that failed on the last launch was found to have resin in the main fuel line..
1968 February 21 - . LV Family: Proton. Launch Vehicle: Proton-K/D. L1 Launch Commission. - . Nation: Russia. Related Persons: Glushko, Konopatov, Mishin. Program: Lunar L1, Soyuz. Spacecraft: Soyuz 7K-L1, Soyuz 7K-OK. The booster failure on the previous launch was found to be due to premature fuel injection during engine start, causing initial chamber temperatures to rise 200 degrees above normal. Glushko and Konopatov both guarantee their engines for the next launch. The next L1 flight will use the 'Kruga' landing predictor. This will predict the landing point to within a 150 x 150 km area two to three hours before re-entry. Landing points on the three previous flights would have been 2000 km from Madagascar and India, Novosibirsk, and the North Pole... Mishin plans the next dual Soyuz flight for 5-10 April. Kamanin protests that the parachute and sea trials of the redesigned capsule are not yet complete. Mishin, as usual, dismisses his concerns. 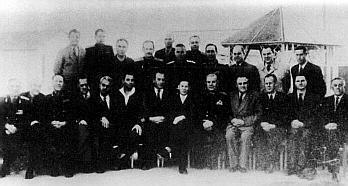 Soyuz 2/3 State Commission. - . Nation: Russia. Related Persons: Barmin, Glushko, Keldysh, Kirillov. Program: Soyuz. Flight: Soyuz 3. Soyuz 2/3 State Commission. All the 'grey eminences' are there - Keldysh, Barmin, Glushko, Kirillov, etc. There are a huge number of physicians - 22 from the VVS, 100 from Minzdrav - all to check the single cosmonaut..
1974 June 30 - . Spiral project resurrected - . Nation: Russia. Related Persons: Glushko. Class: Manned. Type: Manned spaceplane. Spacecraft Bus: Spiral 50-50. Spacecraft: MiG 105-11. Glushko supports modest project to do subsonic flight tests of Spiral orbiter configuration..
1974 July 30 - . Kozlov given own design bureau in Samara. - . Nation: Russia. Related Persons: Glushko, Kozlov, Mishin. Military-Industrial Commission (VPK) Decree 'On separation of TsSKB from NPO Energia and creation of the Volzhkiy Branch' was issued. After the fall of Mishin, Kozlov was offered the Chief Designer job. He rejected it and Glushko was made head of a reorganised NPO Energia. KB Kozlov itself was made a separate entity with the name of Central Specialised Construction Bureau. 1974 August 1 - . New heavy-lift vehicle - . Nation: Russia. Related Persons: Brezhnev, Glushko, Keldysh, Mishin, Ustinov. Spacecraft: Buran. 1974 August 31 - . Cosmonaut reunion as Soyuz 15 crew arrives in Moscow. - . Nation: Russia. Related Persons: Demin, Glushko, Keldysh, Mishin, Smirnov, Ustinov. Program: Salyut. Flight: Soyuz 15. Kamanin attends a reunion of cosmonauts on the occasion of the arrival of the Soyuz 15 crew at Chkalovsky Airfield. Demin has flown at the age of 48, the oldest astronaut ever, until Slayton makes his flight. Kamanin talks to Glushko and learns that the N1 has finally been cancelled. The misbegotten project went for eight years only because of the unconditional support of Mishin by Keldysh, Smirnov, and Ustinov. The earliest Soviet lunar landing cannot occur earlier than the Tenth Five Year Plan (e.g. 1980). Kamanin learns that Soyuz 15 was supposed to be a thirty-day flight, but the Igla automatic docking system failed yet again. Competitive bidding for new vehicle - . Nation: Russia. Related Persons: Glushko. Glushko proposed obtaining competitive bids for the launch complexes and booster subsystems for new boosters developed by OKB-1, dropping the traditional OKB-1 subcontractors..
Vulkan Mars Expedition - . Nation: Russia. Related Persons: Glushko. Glushko ordered to launch Mir by March 1986 - . Nation: Russia. Related Persons: Glushko. Program: Mir. Spacecraft: Mir. By early 1984 work on Mir ground to a halt as all resources were put on getting the Buran space shuttle into flight test. This changed in the spring 1984 when Glushko was called into the office of the Central Committee's Secretary for Space and Defence and ordered to orbit Mir by the 27th Communist Party Congress in the spring of 1986. 1989 January 10 - . Death of Valentin Petrovich Glushko - . Nation: Russia, Ukraine. Related Persons: Glushko. Soviet Chief Designer, responsible for all large liquid propellant engines for missiles and LVs. Led Glushko bureau, 1946-1974; Headed NPO Energia 1974-1989, directing development of Energia launch vehicle and Buran spaceplane..